Dok ovo krene u proizvodnju(ako uopšte krene,kako FCA stoji u Evropi teško),i nađe se u salonima polovinom sl.godine,moguće su izmene,pa nemoj se iznenadimo kako krajnji proizvod uopšte ne liči na predstavljeni.Ovo je prvo. Drugo-Maserati se zadnjih godina prodaje odlično.Što bi ubijali nešto što ide dobro,a rešili da ne ugase ovo što se i ne prodaje baš.Prosto rečeno-kompromis.Evo vam Alfa,ide dobro,vozi se lepo,a ako hoćete da bude i lepa uzmite Ghibli. Edited by magic33, 24 June 2015 - 11:05 PM. Polako bre ljudi. Promasujete celu poentu ovog auta..
Poenta je prodaja. Bez prodaje jedan brend ne moze da zivi. A sa dizajnom koji furaju vec godinama sve manje i manje ljudi ih kupuje. I dosli su do ivice da bankrotiraju. Mrzeli vi to ili ne, bolje je ovo ili nista. Cekamo sledecih 7 modela. Ali kao sto neko rece, do prodaje ima vremena, mozda ce promeniti nesto i saslusati malko Alfisti. A i naravno za par godina ce biti Ristajling pa ce i tu biti malo mesanja tamo vamo..
Ako ste Alfisti podrzite trenutnu politiku Alfe jer je ona jedina i zadnja nada da brend posluje. Bez nje ostacemo na 156 i 159..
Ma unutrasnjost je i dobra ali spolja mi se cini da nema mogucnosti za nekim dodatnim izmenama. Svidja mi se "grba" na haubi, ovi otvori mi vuku na Dodge ili nesto slicno ali aludiraju I na TZ3 koja vodi isto poreklo. S'preda mi nedostaje nekako agresivnost I unikatnost, ono sto je Alfu oduvek pratilo. Kada je vidis u retrovizoru da sustize I prestize jednostavno covek da se sledi. Ili smo svi mi mozda imali prevelika ocekivanja?! Lepo je I to sto su, bar na ovom modelu, odustali od "buljavih" farova koji ipak ne leze svima I na kojima ne bi trebalo uvek insistirati. Is Giulia a true Alfa? The revival of the Alfa Romeo, the return of the snake, the anti-German is running back, the revenge del’alfblablabla. If you are here to read technical data or poetic/patriotic hymns you can read any post on the main Italian magazines. If you were to address this question to my cousin Gino we would conclude in a moment: “Is there the symbol with the snake? Yes? So ride and do not bother…” Ah, Gino he always knows everything! With me, with beautiful cars lovers, with alfistas, with teutonic car fans, the matter is different. Let’s leave alone the “people of FB” that is are able to improvise themselves as industrial designer or creative street art director (basically nothing) in every situations and with any comment. IS THIS A REAL ALFA? First, it is necessary to underline where Alfa will revive: worldwide, not only in the US. Different countries, different cultures, different people, hardly will meet, accept and appreciate, particular objects that have a strong univocal cultural identity. Easy speaking, trying not to use a vocabulary like that used in the building warnings (usually the most tragic to understand), Put simply, the typical Italian Alfa design MAY not like everywhere. It might, I said might. For example, 156 (Alfa bestseller car in the last … maybe almost 30 years!) far exceeded sales expectations and succeeded to be loved in the US where, however, wasn’t marketed (missing sales network). 156 was a very innovative car design. Innovations that were later copied by myriads of automotive brands: the cutting of small windows, the comet (a small curvature that introduces the emblem of the brand on the front bumper), the almond-shaped headlights, the rear hidden handle … etc. etc. But miracles don’t always repeat themselves. 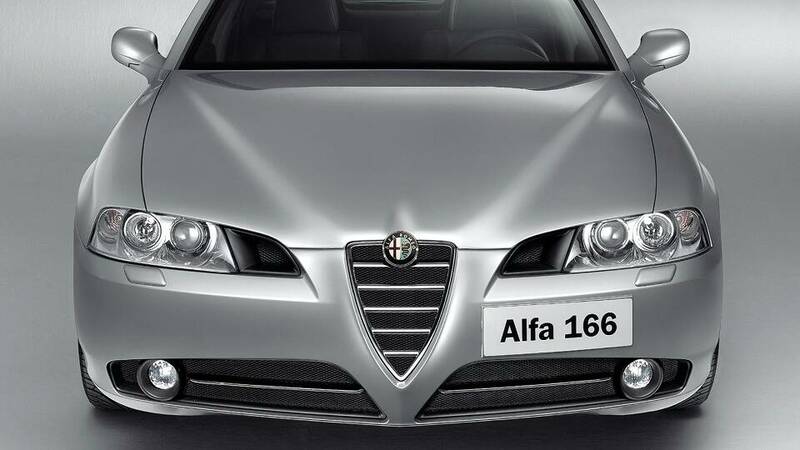 Restyling of 156 lost considerably the appeal to of the innovative Alfa and sales dropped down immediately. Heir came, the new 159: a great machine. The nose was especially liked, with those so well proportioned lights and impressive tail. Still a valid design … that did not sell. And please don’t say it because it was mechanically heavy, let’s not. Because at that time in Alfa they guessed especially the increasing of size, providing the D-segment “stretch”, to which they added (perhaps not with a perfect timing) appropriate engines. Why 159 no but 156 yes? 1) 156 brought innovations, 159 revisited those innovations (and not all). 2) A4, Class C, Series 3 were far years ago compared to 156 (or 156 was ahead, as you want), but when Alfa left 159 the german rivals (and so premium rivals, a substantial difference from the popular rivals such as Passat or Mondeo) were already updated. With 156 they dared, with good results. With 159 they tried to dare (but the designer Walter de Silva was no longer available). They didn’t like it. Obviously what I wrote is based on sales data, which are the ones that count. Now We explore another important point: WHO COPIED WHO. But before let’s discover a new word! How beautiful! Benchmarking: continuous process of measuring products / services / processes through comparison with the best competitors or business leader. To see if we understand it, let’s insert it in a sentence! Fantastic! The car brands use benchmarking to improve their results. However Not good to understand this concept into reality. They said it looks like a Jaguar, which has a bit of Audi, they said that the lateral side is from BMW but it has traces of Mazda too. If the theory of “who does everything does nothing” is valid, then we could say that “who looks like everyone looks like…“. I call my cousin to hear his opinion about it: “Well, although they call it Alfa Harlequin I don’t give a f…” Ah, Gino he always knows everything! It’s clear, very clear, which is an Alfa dominated by all the stylistic influences that have been successful in the world market. Because it’s an Alfa with a specific purpose: to sell the prestige of one of the most valuable brands in the world. Attention please: to sell, not to represent! The 4C is made for represent the prestige of the brand, but it is obvious that there isn’t a car designed for high volume sales. The Giulia is made to sell the prestige of the brand, not to be confused with sell off! Operationally, the designers had to create a line that captures interested glances without betraying the Alfa soul. Please don’t see who copied from whom: the Mazda copied from BMW, which was inspired by Alfa (like BMW said on several occasions in the past) that it imitated Audi who took inspiration from Maserati that … until the Ford T (which even that …). In the ’60s it was full of cars with the rear “with flippers”, but they weren’t copies! Simply stylistic interpretations fell through the values that have filled the spirit of the brand. 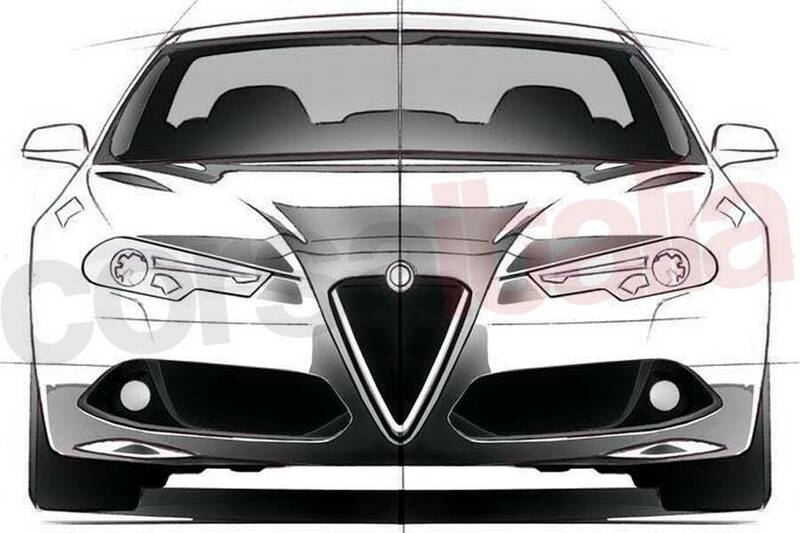 The new Giulia is the representation of the Alfa Romeo point of view about nowadays D segment. It’s an actual Alfa, modern, perfectly in tune with the current design reinterpreted in Alfa key (the great trialogue in front, the upwards tail, the cambered rear…). And don’t forget the most important thing! Although (no accounting for tastes) beautiful, Alfas put the external beauty in second position. First of all there is the agreement between driver and car, as it was an extension of the limbs of those sitting at the wheel. About this I still can’t express myself. None of us can. We can do it with papers. But these papers don’t sing, not like the sound of the new V6. Again I ask my cousin what he thinks of the new Alfa and he said to me: “Danny, you must understand that in order to recognize an Alfa there is little thing to know… is there space for the front license plate? No? Then it’s an Alfa! Ah, Gino, he always knows everything! Na američkim portalima i blogovima već menjaju RS i M modele+bubreg za Juliju. Do stotke Alfa Giulia s motorom inspiriranim Ferrarijevim uradcima ubrzava za svega 3,9 sekundi, no to je tek dio priče za top model u ponudi. Držanje ceste bi trebalo biti izvrsno - barem na papiru, jer proizvođač navodi raspodjelu mase 50/50 sprijeda i straga, uz poseban ovjes te upravljivost zahvaljujući tehnologijama iz modela 4C. Tu je i posebno razvijeni računalni sustav - Chassis Domain Control. Prednji dio automobila krasi i automatski pokretni spojler kako bi aerodinamika vozila ostala izvrsna na višim brzinama. Dizajn je prema nekima (pre)konzervativan, no i dalje 'pali', i još uvijek je prepoznatljiv. 'Giulia ujedinjuje tri suštinske značajke talijanskog dizajna, osjećaj za proporcije, jednostavnost i visoku kvalitetu površina', stoji u priopćenju. Дизајн-задњи део Масерати ГТ, предњи није по ничему инвентиван. Свиђа ми се што су модернизовали амблем из 60тих. Видим да овде некима смета ајкулино пераје, али да ли дизајнерски постоји лепша антена од те. Можда она са 147це? Када гледам ауто из профила, личи ми на Ауди С4. Дакле ауто је леп, али по ничему му дизајн за разлику од 159, Ђулијете,па чак и 147це није препознатљив. Овим ФИАТ покушава да спаси Алфу, да је одвоји од стандардне ФИАТ групације, направи од ње малог Масератија. Ауто је са задњом вучом, претпоставјам да неће имати много додира са осталим у Фиат-групацији. Погледајмо реално- да неко купује половњака да ли бисте му саветовали да купи Гранде Пунта за 4500 или Мита за 6500хиљада са истом опремом и мотором? Или Ђулијета против Брава, исти мотори и опрема разлика 2500евра, за новац просечне Ђулијете се купи Ланча Делта са фул опремом и мотором од 180кс. Фијат је Алфи откопао раку, управо оваквим поређењима. Оног момента када Ђулији буду једини такмаци из премијум сегмента Ауди, БМВ, Хонде и остали то значи опоравак марке. Требали су да уче од Волсфагена. Рецимо 2001- ве године Шкода Фабиа 1,9ТДИ је бољи ауто од Пола 1,9ТДИ. Кад су видели да сами себи праве конкуренцију, свака следећа генерација Шкоде, је за пола класе лошији ауто од аута исте класе који производи Фолсфаген. То исто важи и за Сеат. Фиат није рангирао брендове, и као последица тога, вероватно ће се десити да за 7-8год, Волсфаген купи Алфу или Ланчу. Fiat je ugrobario sve te marke sa istorijom,sem maseratija i ferrari-a. Ovo ne razumem, hoces reci da su oni istorijski nebitni? Elem, trebalo bi konsultovati nekog lingvistu oko transkripcije stranih imena i oznaka, pomalo mi deluje nakaradno (mada razumem potrebu pripadnika Dveri i raznih (neo)nacionalnih pokreta za izražavanjem na nacionalnom pismu, ali ne razumem ljubitelje Alfa Romea kojima original zvuči nakaradno, a posrbljeni ili poćiriličeni nazivi prirodno). Na stranu Đulijeta, ono što meni smeta jeste Волсфаген, odnosno Фолсфаген... Volkswagen (narodna kola, folks = narod, vagen = kola) se čita kao Фолксваген, kao što se skoro svako V u nemačkom u rečima koje nisu tuđeg porekla čita kao F, a W kao čisto konsonantsko V. U nemačkom nema uprošćavanja konsonantskih grupa kao kod nas, tako da ako ga K ima, ono će se i čitati: ФолКсваген. Ako želite da koristite i jednačenje po zvucnosti, ukoliko ste propustili časove gramatike u školi, da vas podsetim da se u srpskom jeziku uvek prethodni glas ujednačava prema sledećem, tako da bih razumeo da ste napisali ФолкЗВаген, ali, imajući u vidu da sonanti ne podležu ovom jezičkom zakonu (a V je sonant), već samo zvučni i bezvučni konsonanti, ostaje Folksvagen. U transkribovanju stranih reči bitno je da se sačuva izvornost, tako da pišemo Vašington, a ne po naški Vašinkton, niti pak akroz engleski Uošington, slično kao što rade Bugari. Mislim da je bolje držati se originalnog naziva ukoliko ne poznajete pravila za transkripciju stranih ličnih imenica. Sve i da volimo ćirilicu kao nekad, nepravilno korišćenje mnoge ljude odbija od nje i te nakaradno napisane reči mnogo kvare uživanje u tekstu i skreću pažnju. Takođe ono što je nejasno je kada oznaku automobila napišete ćirilicom, a ljudi su navikli da te iste oznake vidjaju na kolima u latiničnom pismu pa treba shvatiti šta je pesnik hteo da kaže i da C4 nije Ц ćirilično, već S latinično.